Ella went back to school on Thursday. The teachers always ask about the holidays. For the last few years we've done the same thing, so it's easy for her to remember - went to France with Uncle Robert and Aunty Jane. But this year, with a stay-cation I knew that she would struggle with remembering what we had got up to. So I printed some photographs from Costco (do like their quality and the fact I can collect the next day as I have a habit of leaving it till the last minute!). 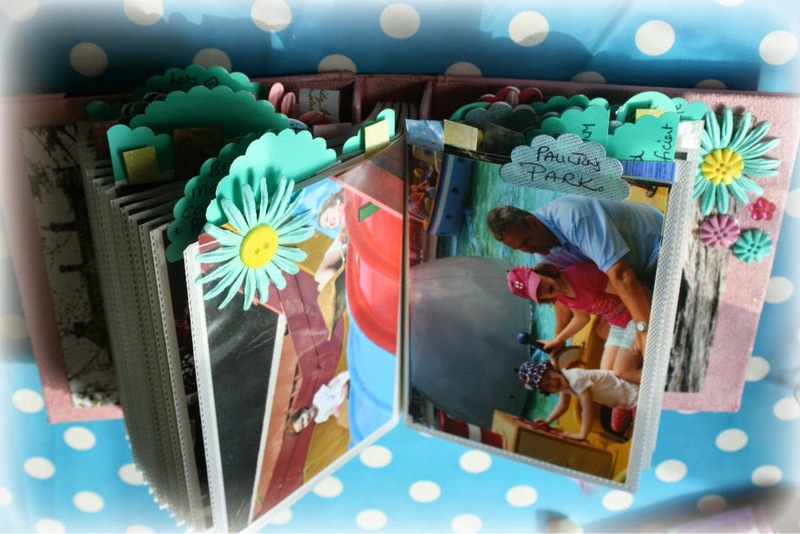 A few weeks ago I had bought a small 6"x4" photo album from a charity shop for a pound, not for a specific project, but for 'one day' (I have too many 'one day' things that haven't yet been used!). So in a couple of hours I created this with punches and scraps of paper. As scrapbooking goes it's very basic. But for Ella to take to school it's perfect. And she loves it! It came out great! 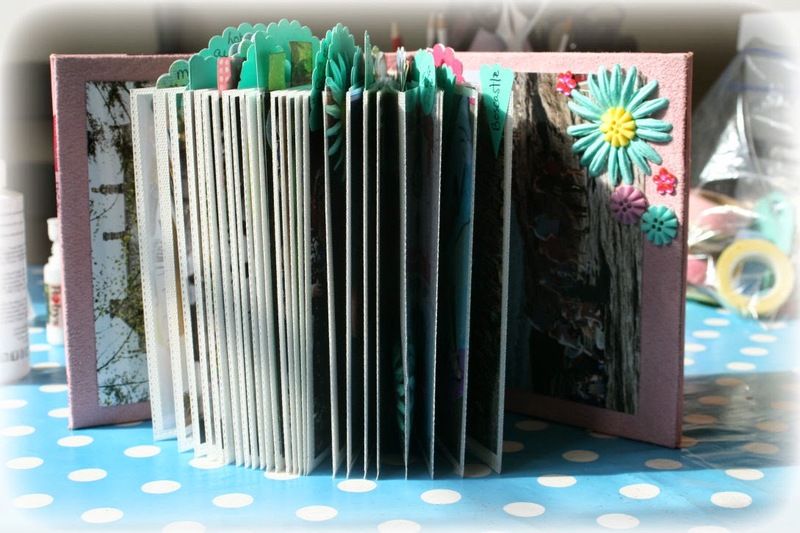 I like doing altered books but they end up so bulky and won't close!